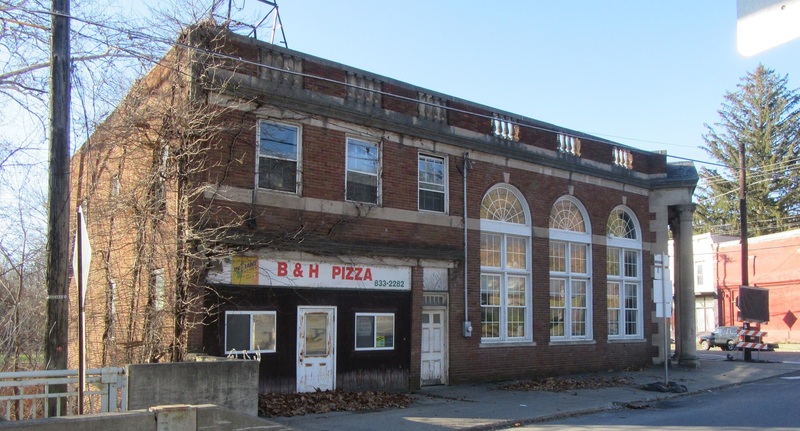 After five years of deliberating the eventual demolition of the former pizza shop on Bridge Street in Meshoppen, the borough council found itself trying to compare apples to oranges as they were pressed to select an engineer for another study. The council has twice paid for engineering studies at the advice of the Wyoming County Housing & Redevelopment Authority (H&RA) and even approved a bid two years ago for demolition of the structure at a cost of $44,000, so members couldn’t help wondering aloud why they are no further along with the project and deciphering yet another round of engineering bids. Proposals from four contractors were sent to the board for review by H&RA grant administrator Lisa Hahn, who had intended to be at the meeting but was unable to make it. Council member Jack Vaow questioned why the task had been put to the board when none of the contractors – all outside Wyoming County – were familiar to them. After weighing the proposals on both cost and a point system used by H&RA, board members were no closer to a decision. They were leaning toward bids by Peters Consultants of Berwick or Smart Designs of Harrisburg, who offered to do the study for $9,100 and $8,230, respectively. Council member Mike Voorhees was partial to Smart Designs, noting that one of their consultants visited the borough on Christmas Eve to get a look at the project with him. A bid of $32,000 by LaBella Associates of Dunmore was never considered, being immediately dubbed the “dollar a brick” deal. Borough secretary Phyllis Adams made a call to Hahn, who addressed the council via speaker phone. She recommended a bid of $15,920 submitted by Kba Engineering of Jermyn, based largely on their proximity to Meshoppen at 35 miles. “They’re local,” she said, further suggesting that the firms in Berwick and Harrisburg might be hiding mileage costs or could invoice the borough for extra visits. While she was still on the line, board chairman John Bunnell asked Hahn how much money would be left for the actual demolition, which it was assumed would also be done by Kba. The estimate for the total cost for the study and tearing down the pizza shop now tops $73,000. “We don’t have that much money,” Bunnell told Hahn, in reference to the $68,000 that the H&RA has been holding for the project. Hahn, in turn, suggested that the council might negotiate an overall cost with Kba closer to $68,000 or they could petition the Wyoming County commissioners to transfer funds from previous years that H&RA had not used for intended projects. Council member Bruce Priestner suggested that going along with Hahn’s recommendations might make the entire process go more smoothly, a notion echoed by Bunnell. The board finally unanimously approved the bid by Kba Engineering, while continuing to express their doubts that anything would come of it. “We’re still going to be talking about this in 10 years,” Vaow remarked. It was reported that closings on seven homes in the CDBG flood buyout project had been completed, and families have begun to move out of town. Adams assured council members that bank representatives maintain that all liens and expenses against property owners will be resolved before the owners realize any profit from the sales. Steve Colley, it was noted, owes sewer and water bills of more than $3,000 on one property alone. On that note, Voorhees said that he will start shutting off water and sewer service on Monday, April 1 to other residents who are delinquent in their payments. Approximately $42,000 and $34,000 are owed to the borough for sewer and water, respectively, with most of the same people on both past-due lists. The public meeting was interrupted for an executive session during which council members discussed a request for a dollar-per-hour raise by police chief John Krieg for him and officer Sierra Crane. The board debated the increase and decided that they would honor the request if the police officers would pay an additional six percent of their health insurance. Neither Krieg nor Crane were present at the meeting. New council member Cindy Cona announced that Meshoppen Community Day will be held on Saturday, June 29. She has begun meetings with a committee and is looking for more volunteers, vendors, and entertainment. Cona is among four council members who need to get their names on the spring primary ballot, along with mayor Bruce Marshall, if they wish to seek re-election. The others are Voorhees, Doris Pickett, and Mike Loyd. There are also two Elk Lake school board seats up for re-election in May.